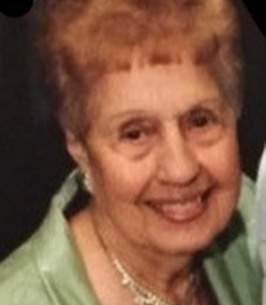 Roseann was a receptionist at Glen Ridge Country Club for many years. She is survived by her husband, Peter Cardo, her children, Denise LaTona, Mary Lou Aramando and her husband Sam, her brother Rocco Cifalino, and her grandchildren, Julie and Joe, Jillian, Nicole and her husband Frank, Sam and his wife Gionna, and by her great grandchildren Frankie and Brooke. She was predeceased by her parents Joseph and Mary (nee Caggiano) Cifalino, her brother Sal Cifalino, by and by her son in law John LaTona. To plant a tree in memory of Roseann Cardo (Cifalino), please visit our Heartfelt Sympathies Store. We encourage you to share any memorable photos or stories about Roseann. All tributes placed on and purchased through this memorial website will remain on in perpetuity for future generations.